Pellentesque lacinia, arcu vitae eleifend tincidunt, velit orci laoreet lorem, a elementum leo massa eu nunc. Pellentesque ac sapien ut nunc suscipit viverra. Ut pretium mauris fermentum facilisis dictum. Nam sit amet orci a odio vehicula sodales sed ut mauris. Donec mollis sem nec eleifend mattis. Donec egestas eleifend erat ac cursus. Phasellus vitae lacus et ante placerat laoreet. Aenean fringilla vel ipsum nec varius. Nullam at massa sit amet elit pharetra molestie. Vivamus eu imperdiet elit. Vivamus suscipit venenatis erat sed lacinia. Treating multiple scenarios online by simulating various interventions such as starting IVs, hooking clients up to the monitor, asking clients questions, and giving appropriate medications. Receiving instant, objective feedback and evaluation of skills. Skills completed at our facility, focus on chest compressions and ventilations using Voice Assisted Manikin Technology on a computerized manikin. The program also includes the complete ACLS textbook online, so there is no need to purchase that separately. You will have access to this material, including the textbook, for two years. This is state of the art. You are tested on BLS skills and a megacode scenerio in our office. All other skills are tested through simulation online. It is a fun way to do your BLS skills testing and computers make sure that you are doing compressions and breathing exactly right. This is AHA accredited and you will receive the same Course Completion Card after completing your skills as you would from taking a traditional class. Part 1 at your home or office: Online simulation and written test completion (Generally 4.0 to 6.0 hours for experienced providers and 8.0 to 12.0 hours for less experienced or new providers)--Immediate access is available upon registration. Parts 2 & 3 in our office: Computerized manikin practice and skills testing in our office (15 minutes to 1 hour)--May be scheduled now or you may call to schedule after completing the course. Skills sessions are available daily, by appointment. ACLS Online HeartCode $225 (no textbook required) - Start Right Now! 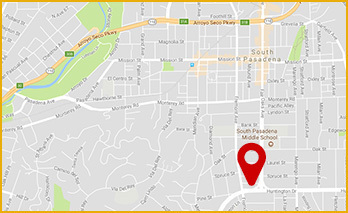 Skills testing completed in South Pasadena, CA unless otherwise specified. Stand by! We will be bringing ASCI class content soon!